Nuclear physicist. Mentor. Volunteer. Pioneer. Advocate. These are just a few of the many hats that Njema Frazier (S 1992) wears. Frazier works for the U.S. Department of Energy in the National Nuclear Security Administration (NNSA) Office of Defense Programs, where she serves as the acting director of the Inertial Confinement Fusion program, the first woman and first black scientist to head the office in its 40-year history. Frazier leads scientific and technical efforts to ensure that the United States maintains a safe, secure and effective nuclear weapons stockpile without explosive testing. She directs nuclear weapons modeling and simulation, weapons physics experiments and international collaborations, along with budget and personnel management, including engaging with leading scientists in the field. Prior to joining the NNSA, Frazier was a professional staff member for the U.S House of Representatives’ Committee on Science. “CMU was a great foundation for graduate school and my career,” she says. The firsts throughout her life prepared Frazier for another important role, that of advocate for diversity in STEM education. She is part of the Department of Energy’s Minorities in Energy Initiative, co-founder of the POWER (Professional Opportunities for Women at Energy Realized) Employee Resource Group, a member of the National Advisory Board of the National Society of Black Engineers, chair of the Algebra by 7th Grade Initiative for grades 3 to 7, and founder and CEO of Diversity Science LLC, a network of scientists and engineers dedicated to broadening STEM participation. Opened in 1967, the Carnegie Mellon Action Project (CMAP) program, which was renamed Carnegie Mellon Advising Resource Center (CMARC) in 2006, supported CMU students of color in finding community and resources to not only persist, but thrive. (The programs have evolved into the current Center for Diversity and Inclusion.) Frazier credits CMAP/CMARC and its director, the late Gloria Hill, for helping her get through her “most challenging days” at CMU. She headlined the COMPASS (Coaching Minority Progress and Academic Success in Science) event and the Women in Science events in 2013 and served as the alumni speaker for CMARC’s Origins program the following year. Frazier has received many honors for her work and advocacy, including recognition by Black Girls Rock! for her work in STEM, the DOD Joint Civilian Service Commendation Award, a Black Engineer of the Year award, EBONY Power 100 honors, a Distinguished Service to the NNSA award and many others. To others following in her trailblazing footsteps, Frazier offers some advice. Njema Frazier received a 2018 Alumni Achievement Award for exceptional accomplishment and leadership in her field on May 18 during Commencement Weekend. 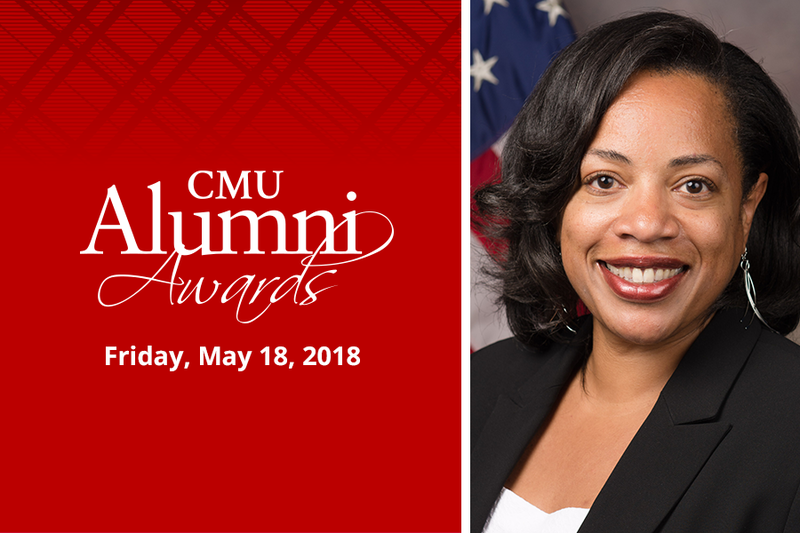 Read more about CMU’s 2018 Alumni Awards and honorees. Learn more about 2018 CMU Alumni Awards honorees.